Click on the image below for a helpful and comprehensive guide for club Treasurers. Club Treasurers have virtually the same access rights within the district website as those given to the President and Secretary. This means that you are able to manage all member records including adding or terminating a member, or editing the content within an individual member record. You can also change any member's login name and password. To view a guide to all of the functions of the club secretary, go to "TOOLS/for club secretaries"
IMPORTANT: In order for you to have the access rights as described above you must appear as the Treasurer in your "Club Executive" list. To see if you are listed as your club treasurer, go to your club name in the CLUBS area and when your club page opens, click on "Club Info" in the right column. 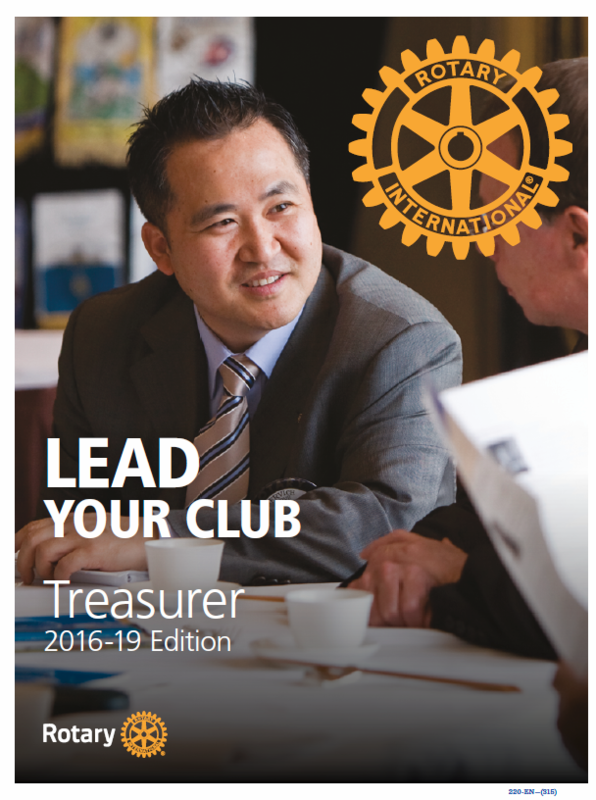 If you have been designated as your club treasurer, your name will appear on the page. If you do not appear, it means that your club president or secretary has not assigned you as a club officer. Please advise the President or Secretary to do this so that you can have full access rights. In the Club Secretary area of this site they will find instructions to Define Club Officers.